Every now and then you find a book that’s a perfect fit, a book that’s just right, a book that you want to re-read almost as soon as you’ve finished the last page. 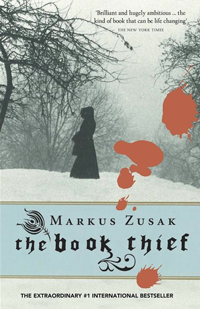 For me, Markus Zusak’s The Book Thief was just such a book – it is easily now in my top five. I was hooked. With this we meet the narrator of this perfect, horrifying tale; Death. I was of course immediately endeared to Liesel and her love affair with books and words. Her resilience and resourcefulness whilst in great peril was inspiring, and her humanity and compassion was stunning. For a girl so young, Liesel showed many enviable characteristics not the least of which was her wish to not only survive, but to live – she stole books in the same way that she stole food – and for similar reasons. It was not enough for Liesel to simply feed her body, even in an environment of violence and oppression, the need to feed her appetite for words and ideas was ever present. I should say though, that my attraction to this book was about more than just the plot. Liesel’s story is very moving, but it’s not all that makes this book so special. In my opinion, The Book Thief is as much about how the story is told, as it is about the story itself. It is poetically told, it ebbs and flows like music. It is skillful prose, and it’s quiet intensity makes the hairs stand up on the back of my neck. Markus’ story made me shiver, cry, smile. It was amazing to read a book that was so carefully put together, one that was so conscious of its pace and rhythm. I’ve read a lot of good stories over the last few years, but few that have been written so beautifully. It goes without saying, that I would recommend this book wholeheartedly. Have you read The Book Thief? What did you think? 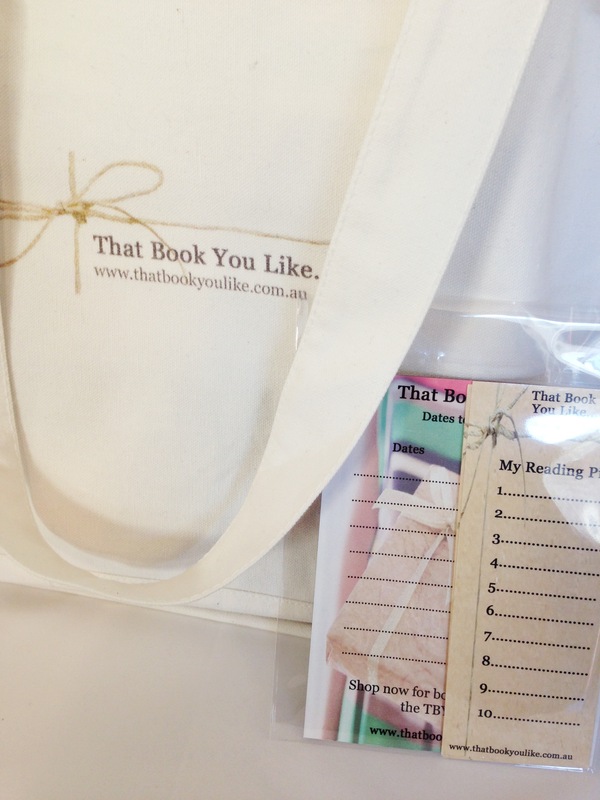 Buy your own copy of The Book Thief, at the TBYL Store! I could have written this post myself. : ) I love ‘The Book Thief’, too; it’s one of my favourites. It’s one of those books I lend out to people on an almost continuous basis, so the poor thing is looking fairly worse for wear. But I don’t mind; I like my books to look lived in. That’s interesting what you say about his other books, I’ve not read any, so maybe I’d be best to lower my expectations of them a little. The Book Thief is one of the best books I’ve ever read. Interestingly, the cover DIDN’T appeal to me! It was a book group selection but as soon as I started it I couldn’t put it down. And (without spoilers) it made my cry a river! I read The Book Thief immediately after another fabulous book (Loving Frank by Nancy Horan) and for a while there everything I picked up was a bit ‘blah’ after two incredible books! This is on my to read list. I have a few things before it, but you’ve made me look all the more forward to it. I know just what you mean by a book being a good fit. I read ‘The Book Thief’ when I expecting my first child. A dear friend would visit us and bring me Australian wine until I got pregnant and then he bought me wonderful books (we were living in South Africa) I have loaned my copy out and it is looking well loved, I have bought copies for people as gifts and i have recommended it with my heart and soul. It made me laugh, sob and believe in the spirit of people. It is a beautiful piece. And I love that Liesel’s story fills in gaps that are so often overlooked in history. I was surprised to hear you hadn’t read it until now! I was given this book as a gift when I spent some time in hospital in March. It was a great gift. I was so sick of magazines that when I received it I would have read anything. And, to be honest, it’s a book that I probably wouldn’t have chosen myself but I couldn’t put it down. I really loved the way that the events of history were the backdrop to the story rather than the story themselves. Liesel’s interest and passion for reading was quite inspirational and in some ways helped me rediscover my love of a good book (which had been lost a bit with illness & looking after a baby and toddler). The historical backdrop was definitely one of the things that I really liked. It’s nice when you get a surprise with a book like that isn’t it? I’m so glad that you’ve rediscovered books… there’s nothing better when you’re a bit laid up! I agree there’s nothing better than when you’re a bit laid up or when you’re stuck waiting for hours for specialists all the time. I enjoy waiting rooms now as long as I have my book with me! I know exactly what you mean about waiting rooms! I was thinking just the same thing this week… makes the hours waiting much more enjoyable. I hope your health is good now? I’ll check out ‘The Sense of an Ending’ thanks for the recommendation, always great to hear about new books. I think The Sense of an Ending won the Booker prize last year so it’s pretty easy to find commentary on it. I’ll be sure to check out The Sense of and Ending, I’m very interested!